The highlight of any American Export collection would be this item. 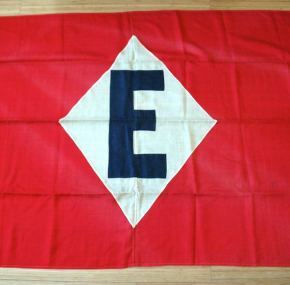 A fantastic house flag that the seller informed me last flew on the Independence. In excellent condition with its original rope lanyard. 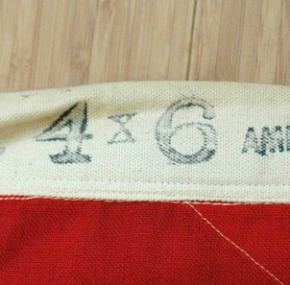 Made of wool and stamped with the company name. Measures of 6′ x 4′. There are a few small stains but nothing to detract. A good dry cleaning should make this flag shine; however, it is superb as is so I will leave that to the buyer. 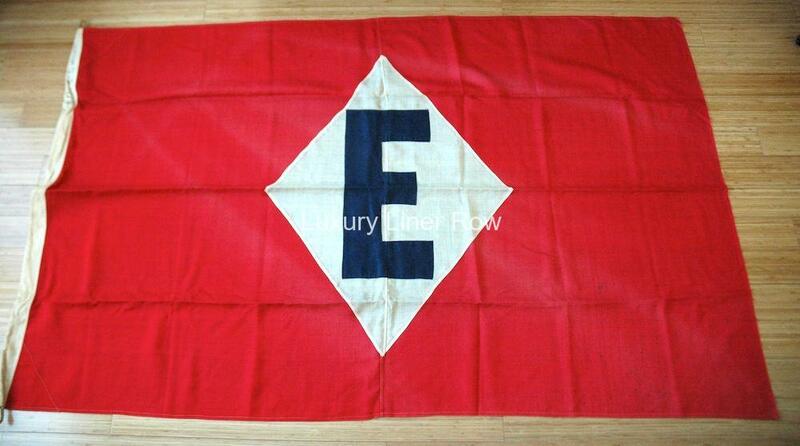 Where else can you get a house flag for one of America’s most famous and lauded ocean liners?